A community service project concepted, created, and executed in conjunction with Juan Cifuentes, Spenser Garden, and Julian Jones-Pittman. Musical assistance courtesy of Timi Bumatay; check out his album here. 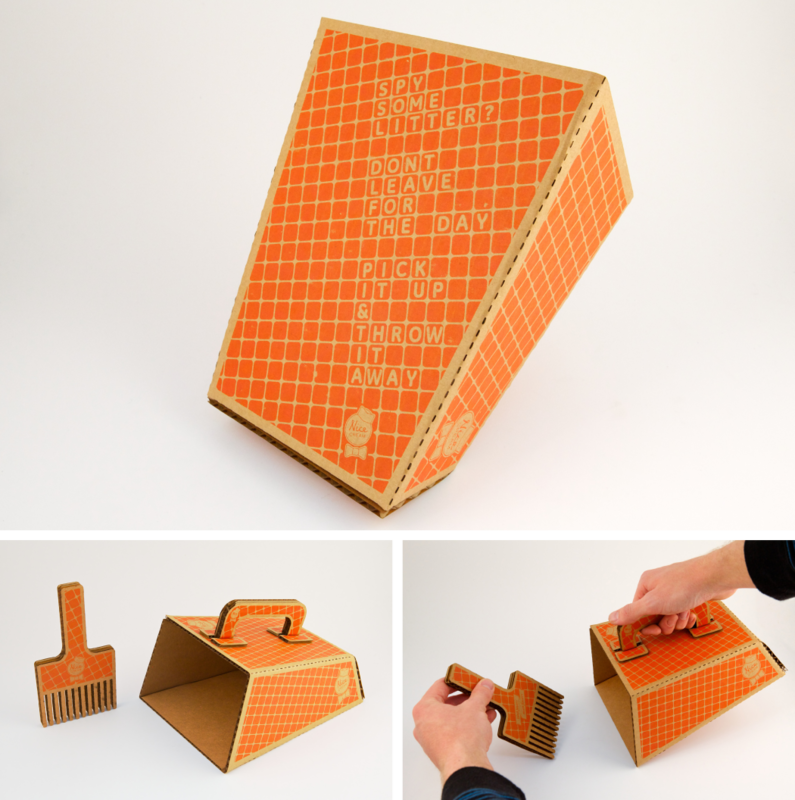 Background: The final project in the curriculum of CSULB’s BFA Graphic Design program is dubbed The Legacy Project. The goal of the project is to take the myriad skills that we have amassed over the two years in the program and apply them to a project or campaign that benefits the local community. The Brief: The City of Long Beach, California is a city with vibrant communities, is home to one of the largest public universities in the state, and is host to one of the nation’s largest—and most important—ports. In short, Long Beach has huge potential to be a city that sets trends rather than simply playing second fiddle to the City of Los Angeles (which it regularly does). 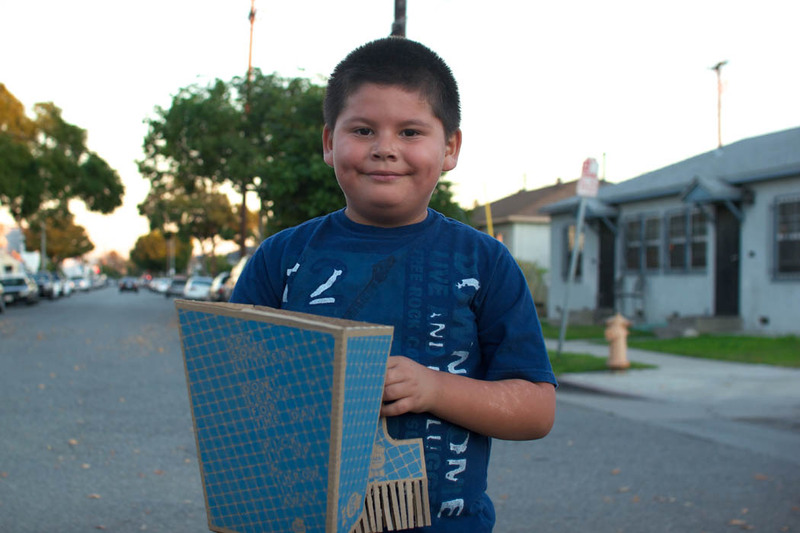 Our brief was to showcase the City of Long Beach as a “model citizen” of the greater Los Angeles metro area. To show the citizens of Long Beach how good this city is and can be; to make Long Beach aware of itself and its vast potential. 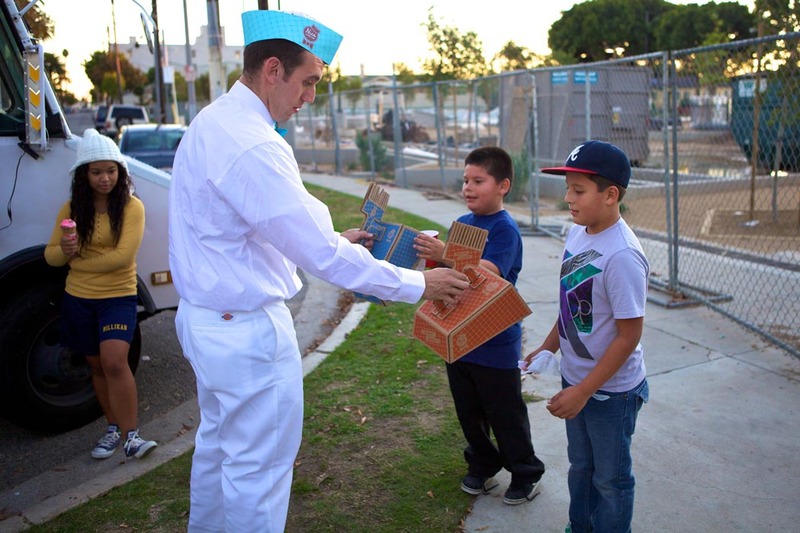 Research: Being a community service project, we wanted to serve an area of Long Beach that may not necessarily have the cachet of some of the other well-served areas of the city. Through research of census data, median housing prices, and crime statistics, we came to home in on the Poly High area. In this neighborhood—directly adjacent to Long Beach Polytechnic High School, hence the name—median income is nearly half that of the more affluent Belmont and Bixby Knolls neighborhoods, while household sizes are nearly double. Furthermore, there are currently massive community improvement projects being undertaken in Belmont and Bixby; in Poly High, however, nary a project of such scale is being embarked upon. After spending several afternoons walking around the neighborhood, we decided that we wanted to tackle the idea of infrastructure. The idea here was that if we could make the neighborhood more efficient through infrastructure, we would make the streets run smoother, thus making people’s lives easier—efficient streets are happy streets. 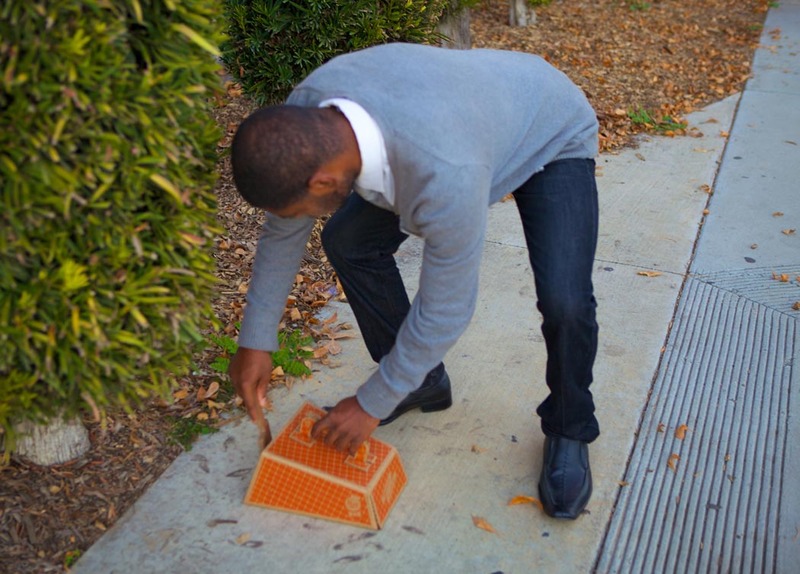 During a couple of our visits to the area, we quickly saw that street-side litter was rampant. While not a huge overarching problem, such a detail signals to visitors that the area might not necessarily be cared for or safe; the Broken Window Theory applied to the gutter. We realized that an effort to mount a neighborhood clean-up campaign could synthesize many beneficial elements. A successful campaign would not only spruce up the neighborhood, but would also have the power to bring together neighbors and communities, as well as potentially bring local businesses and organizations into the fold. Concept: We very much wanted to go about this idea of neighborhood improvement in an empathetic, trustworthy, and surprisingly delightful way. On the latter note, what could be more surprisingly delightful than the ice cream man? The idea, then, is simple: Nice Cream is a community improvement project that gives away free ice cream in exchange for good deeds; for your kind favors, we offer sweet flavors. 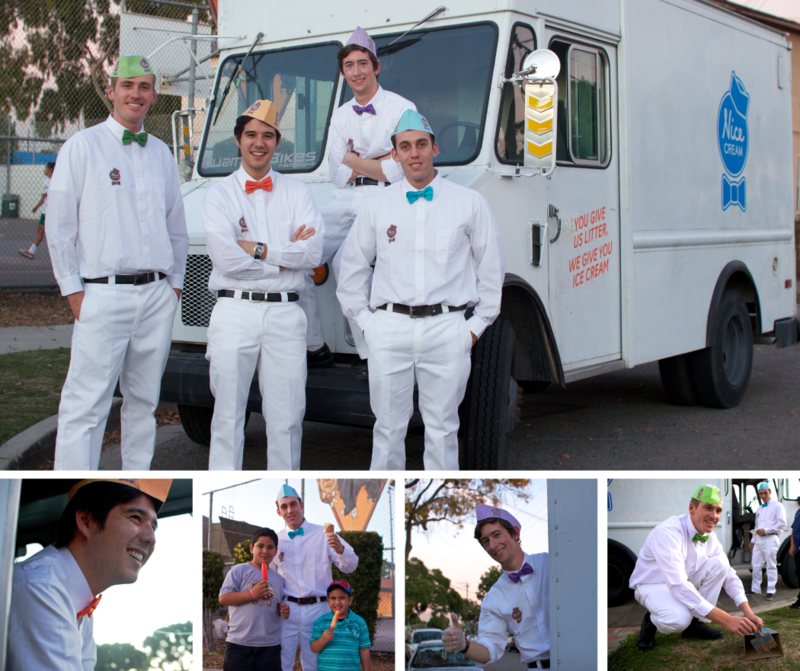 Visually, we wanted very much to harken back to the nostalgia of the good old American ice cream man—clean cut, wholesome, trustworthy; the chief purveyor of surprising delight. As such, we created the brand around bold and vibrant colors, friendly typography, whimsical copywriting, and a little bit of the classic Palmer cursive that we all grew up with. Application: A day before the event, we put up posters in the immediate neighborhood foreshadowing the event to come; the poster copy speaks to the simple idea of doing good deeds. Finally, on a sunny California afternoon, we visited the Poly High community and gave away free ice cream in exchange for street-side litter. Turning up in a specially marked truck (blasting a slightly remixed version of Scott Joplin’s “The Entertainer”)—and similarly decked out ourselves—we simply rolled down the window and yelled out FREE ICE CREAM! You’d be surprised how quickly we were swarmed by kids from those three simple words. 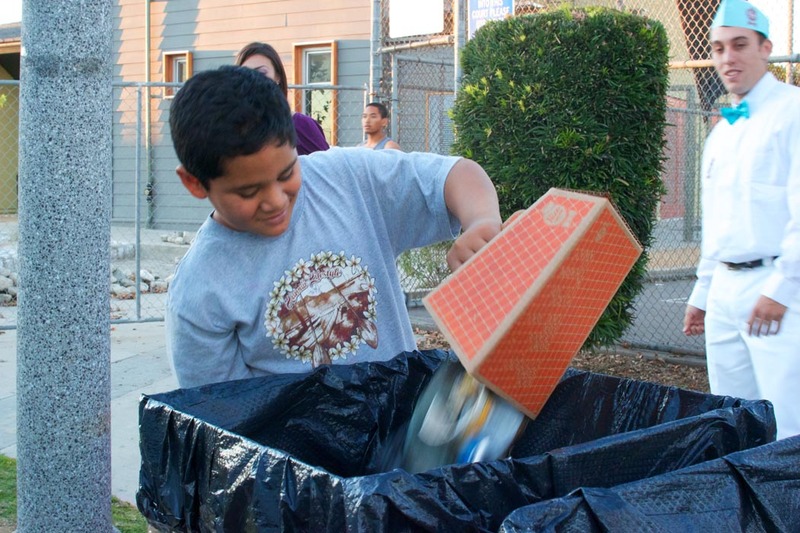 After explaining the premise, we handed out bespoke clean-up kits so that kids wouldn’t be directly handling trash and set them to it. 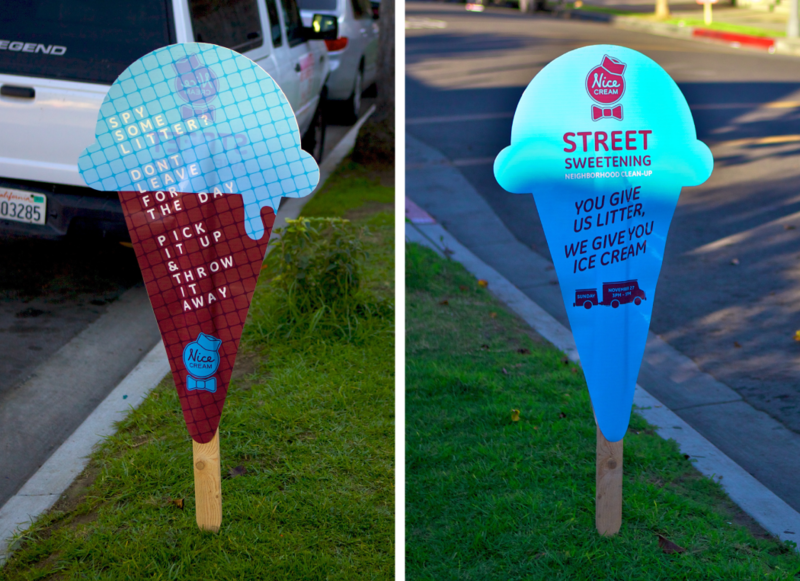 Residents—both young and old—were now engaged in a concerted group effort to improve their street, and to latterly enjoy each other’s company with a refreshing cone or popsicle. This one afternoon brought together countless neighbors—some of whom that had never met before—to help improve their community. From this event, we netted the equivalent of four garbage barrels of street-side trash, gave away nearly thirty cones of ice cream (chocolate being a popular choice) and twenty-five popsicles, and caused a whole bunch of smiles. 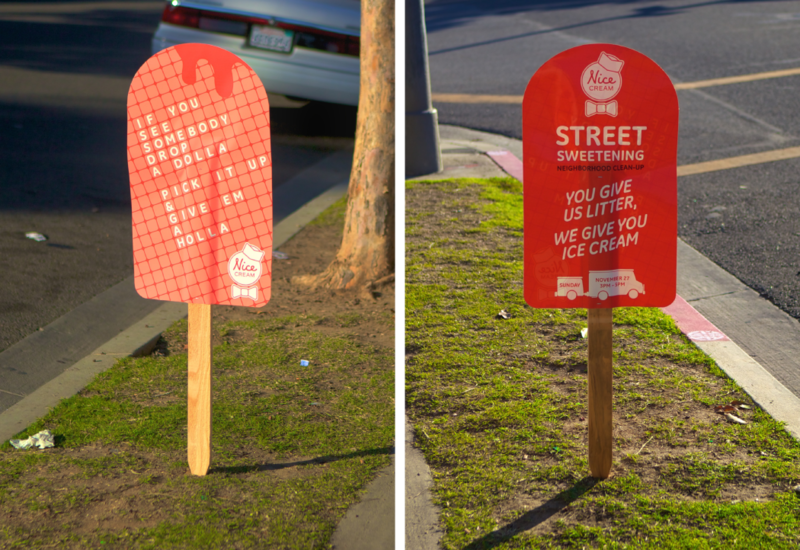 The Future: Neighborhood improvement is simply a first step; the Nice Cream concept has the potential of leveraging other neighborhoods, as well. For instance, if a local soup kitchen were in need of food, Nice Cream could visit the Bixby Knolls neighborhood and collect canned goods; if a homeless shelter were in need of extra clothes, we could visit the Belmont neighborhood for clothing donations. Every neighborhood—depending on its demographics—plays a key role in helping to improve the welfare of the entire city. In this way, we can not only show the citizens of Long Beach how great their city is, but also empower them to help keep it great as well.